Do You Get Frequent Headaches? Headaches are more common than ever today! We live in such a stressed out world it's NO wonder we get Headaches! The most common headache is "TENSION." Also known as "Stress " headache. Yes it's caused by stress. It's a light to moderate pain and it feels like a tight band around your head. Have you ever had one? The pain is Real. Why do people wait until they are in serious PAIN before they get massage therapy ? Regular massages can help improve your oxygen levels and help reduce your pain. Why take meds that only put a bandaid on your wound? 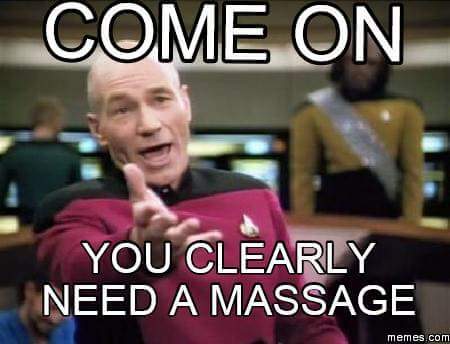 In the long run massage sessions are your best bet! What are you waiting for? Make that call today! DON'T suffer any longer!